Fellow writers of a certain age will remember the 1980s children’s TV programme, Why Don't You Just Switch Off Your Television Set and Do Something Less Boring Instead? It was a great show, possibly a little low-key for today’s audiences, but in a roundabout way it led me to become first an avid reader, and then by natural evolution, an avid writer. Because, as a child, when I switched off my television set, I would dive headfirst into a book. I’d spend hours in my local library, browsing the shelves with a mixture of envy and adoration, wanting be immersed in the worlds that would open up for me as soon as I selected a book and took it to the counter to be stamped out. Who can remember those lovely old-fashioned library tickets? Lounging on my bed with a bar of Galaxy and a brand-new novel or big fat reference book was an absolute treat. And today, just wandering around a bookshop will conjure all sorts of ideas and nuggets that feed my imagination. This long-standing love for books was ignited in my childhood by seeing my mother and older sister constantly reading. I was able to dip into novels beyond my reading ability (broadening my mind and so pleasing my teachers no end). There was nothing more comforting than seeing a stack of hardbacks from the library by my mother’s chair waiting to be explored. From Jackie Collins to Jean Plaidy, and Wilbur Smith and Mazo de la Roche (we didn’t have particularly literary tastes), we would devour them, our reading list peppered with the odd classic here and there. And almost by some sort of intellectual osmosis, I found myself wanting to create my own stories, my own worlds just like the ones I had been drawn into. I began to make books, prime little examples of juvenilia, from folded up pieces of paper, stapled and scruffily illustrated. I progressed, as I reached my teens, by investing in a typewriter (manual of course, this was the 1980s!). It was at this point that I read the Brontes and knew that my course was set. I began tapping away at bodice rippers and dreadful gothic romances that would make me blush today if I hadn’t shredded the lot in the early 2000s. 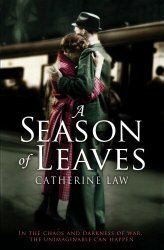 My first book, A Season of Leaves, was published in 2008, so it was a long haul. Before this, I’d spent many years attempting to write what I thought were reasonably mature contemporary novels. These early works, I see now, were all part of the steep learning curve that writers must navigate. A kind of really hard apprenticeship, if you will. When confidence was high I’d trawl through the Writers’ and Artists’ Yearbook for names of suitable agents and publishers, send off submissions, enter ‘first novel’ competitions and then sit back to wait for the inevitable rejections to roll in. When confidence was low, I’d escape into the private world of other people’s books – my list of favourite authors includes Kate Atkinson, Barbara Kingsolver and Mary Wesley – become inspired and the cycle would start again. It was hard to face these setbacks, but I like to think I rose above them and allowed the harsh experiences to make me more determined. And I’m sure this is what most writers find hard to pinpoint: where does this drive come from and why do we keep going? I guess we must live to write, not write to live, and tap into our creativity whenever and wherever we can. And, first and foremost, switch off that television set! 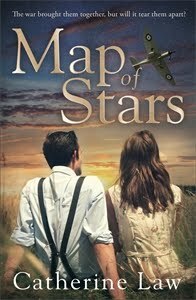 Set amid the turmoil of the Second World War, my new novel Map of Stars explores secrets, lies, espionage and, of course, love. And, just as I did with my previous novels, I tapped into characters living through a terrifying war: the ordinary people doing extraordinary things in such dangerous times. And, in Map of Stars, characters live in Kent, near the coast and so are right on the front line. But where did the first spark for my story ignite? I have known and loved the Isle of Thanet for a half a lifetime. Having visited this eastern part of Kent so often in the last 25 years, I began to feel that it was my second home. So much so that last year, I left the hills of Buckinghamshire to settle ten minutes from the sea at Margate; it felt like a homecoming. And, already, Map of Stars was taking shape. Kent has ancient roots, sleepy charm and a pretty landscape of orchards and hop gardens, with the sea lapping at its toes. I love that I can stand on the cliffs at Dover and see France in the haze across a stretch of water that looks, in some lights, entirely swimmable. I was fascinated by what it must have been like to live here during the 1940s, in plain sight of the enemy and under the flight path of the bombers heading for London. The germ of the idea for Map of Stars crept up on me like a spy. It was sparked by a recent news report about a mummified homing pigeon trapped in a Kentish chimney, complete with war-time message strapped to its leg. So far, so intriguing. Then I discovered that, during the war, pigeons were taken on every mission leaving our air fields so, if the crew were shot down, they’d be used to send home their co-ordinates. I found out that carrier pigeons were also dropped from planes in little boxes with parachutes over the French countryside for the Resistance. By now, my mind was racing. And then I unearthed our very own British Resistance: a top-secret guerrilla fighter network dotted around the Kent countryside in foxholes ready to scupper the dreaded invasion. They were the Dad’s Army with bells on and I was entirely hooked on their little-known story. And so the story of Map of Stars began to form - and it is not just about pigeons! 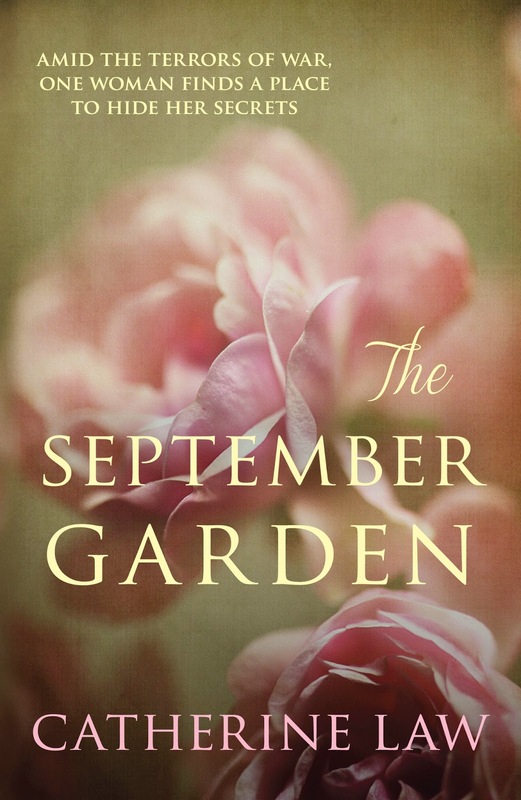 It’s 1967, the Summer of Love, when my heroine Eliza and her grown-up daughter Stella pluck a mummified bird from a pile of soot that falls down the chimney of their home, Forstall Manor, an Elizabethan country house deep in the Kent countryside. The note sent with this pigeon is written on a secret coded war-time document (the ‘map of stars’) and is a desperate scribbled message of love for Eliza, delivered more than twenty years too late. The sender is Lewis, Eliza’s lover who went missing in the war and who she believes is dead. 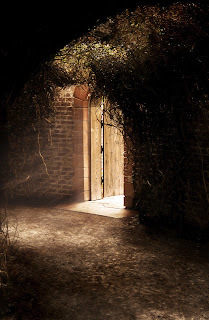 Reading his words takes her straight back to the time when she was newly married to childhood sweetheart Nicholas, when the manor, commandeered by the War Office, was buzzing with Morse code and when talk was of rations, spies and invasion. And, in the midst of this, Eliza struggles with her loyalty to her husband, obligation to her country and her secret love for Lewis. My novels may be unashamedly romantic, but I always like to weave in a darker side. When the message from Lewis falls into Eliza’s hearth, as well as reviving painful memories of loss and sacrifice, it leads to the uncovering of her own, terrible secret from those dangerous war-time days. In fact, it is her inquisitive daughter Stella who delves into the past, in a bid to mend her relationship with her mother. But what is Eliza hiding? When I first clapped eyes on Kate Bush, I was thirteen and barely formed. I saw her - this wild, graceful, exquisite girl - on Top of the Pops, on the pages of Smash Hits and on her LP covers. And I listened to her. I ignored the critics who complained that she wailed, who compared her to a banshee. I knew better than that. She sang about Heathcliff and kites and periods and all manner of elemental things with a pure, otherworldly and totally unforgettable voice. And I recognised instinctively what she was saying. Her music, her words, her art spoke to me as a girl, as a teenager, as a twenty-something, as a thirty-something. Now, thirty-six years on and I perch on the edge of my seat at Hammersmith Apollo not quite believing my eyes. Her band starts up and she marches on, understated and barefoot, with her singers. It is clear that this is the KT Fellowship – and that includes the audience. She opens with pulsating, prophetic Lily and from the crowd breaks an astonishing wave of affection. We are ecstatic. 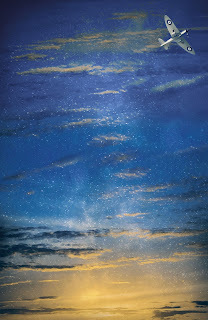 The years collapse and the tears fall. I am thirteen years old again. She performs a handful of hits including Joanni, Top of the City, Running Up That Hill and Hounds of Love until, being unconventional Kate, her raw and joyous King of the Mountain is interrupted by a sinister stage invasion: a tall wiry man whirling a bullroarer, scattering Kate and her band. He is the storm bringer. The set is changed, a tempest erupts and we realise something extraordinary is about to happen. The visual song-story of The Ninth Wave begins. Kate reappears, singing the crystal-clear, mournful And Dream of Sheep wearing a life jacket, floating in a tank and projected against a desolate sea. I am immersed, overwhelmed, in her sound-scape as the tragic drowning unfolds. The stage is colonised by her Fish People, mime artists and actors, pulling us through the story with movement and subtleties that challenge me to keep up. The lights, the effects and the sound are astounding - designed to enthrall us and wrestle our emotions. Kate's voice is rich, soft and angry, yearning and mellifluous as she takes us down through Watching You Without Me to Jig of Life, and from Hello Earth to the terrifying sinking depths of the inevitable. And suddenly, The Morning Fog breaks amid a sunrise as band and performers assemble around her to lift us with the melodious promise of an awakening, a re-birth. We need the interval to recover. 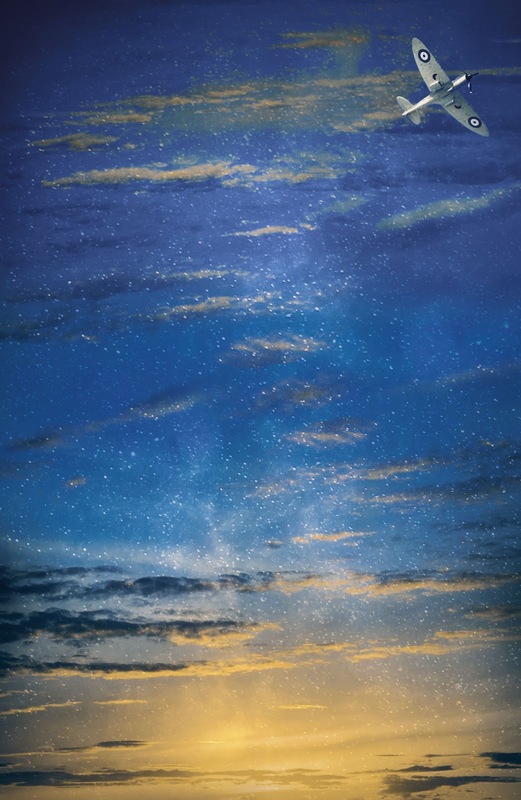 She greets us in the second half with Aerial's A Sky of Honey, painting the picture of a summer's day with vision and sound, from dawn and daybreak, through a perfect afternoon to dusk when a huge tawny moon – this interlude sung by her son Albert – rises in darkness under a sky of diamonds. I sit dumbfounded, my mouth open. The stage becomes a metaphor for the whole earth as she celebrates the power of nature, of sunlight, sea, sky and birdsong. She takes us to a garden under water, linking us briefly back to The Ninth Wave, and then to soar through the sky, rising with endless flocks of birds. We hear church bells. We revel with her in the seemingly benign pastoral scene. And then as the pageant reaches its crescendo, I realise the true meaning of Aerial – there’s something dark, something primeval and rather sinister. We see chaos and possession and nature turning on us, violently. Then finally, Kate breaks free. She flies. She finishes with an encore of Among Angels – during which I could have heard a pin drop - and the radiant Cloudbusting. I leave the auditorium stunned, weeping, speechless. Kate Bush's talent and art is so innate and unique, generous and encompassing that to attempt to describe it further will break its spell, make it lose its potency. It's not just about the music. Outside, on the billboard of Hammersmith Apollo, the sign simply says 'KT Fellowship presents Before the Dawn'. Kate Bush has absolutely no need to have her name up in lights. You might feel uneasy at the mild frivolity of that last statement - for we know now this was not the case in those early days. And what of the ordinary people living there beneath the shelling, beneath the fire in Caen, in Bayeux, in Falaise? Some ten years ago I chanced upon The Normandy Diary of Marie-Louise Osmont 1940-1944 in a second-hand book shop. From her first entry in the summer of 1940 after the Fall of France - stating with simplicity that German soldiers were occupying her small Normandy chateau, bringing in with them their rough boots and penchant for singing - to the last terrified accounts of the devastation of Caen in 1944, I was completely enthralled. Madame Osmont was an ordinary woman living through the day to day terror and long uncertain years of occupation – and her story stayed with me; it haunted me. As the first booms of the mighty British naval guns thundered in over the Bay of Seine and the multitude of parachutists came raining down, she witnessed the Allied invasion as it unfolded incredibly and devastatingly around her. But how was she to know, as we do today with the luxury of hindsight, what on earth the outcome would be. Her story intrigued me. I wanted to somehow relay her experience, try to do it justice. And this is how the idea for my novel The September Garden was born. Every evening at the Menin Gate in Ypres, at the going down of the sun, a large crowd gathers. Every evening, without fail, buglers march out, people fall silent as the proud and mournful Last Post is sounded. But pride can slip easily into bitterness among the fields of Flanders and the valleys of the Somme. For here the inhumanity of war is uncovered, just as farmers’ ploughs today churn up a chip of backbone, a stick of rib and a curved piece of skull. One hundred years on, shells and bullets, many still live, are also a perpetual harvest. I toured the Western Front to try to understand our nation’s degradation of its youth, but could only scratch the surface. I could only stand and stare. Stand on the Messines Ridge with binoculars and you can see almost the whole of the Line, stretching from Loos in the south to Passchendaele in the north. And in this benign landscape, force yourself to imagine the filth and the noise of war: the firestorm at Hooge where burning oil was jettisoned over trenches, the poisonous quagmire of Ploegsteert, the violent slaughter in the wire at Beaumont Hammel. 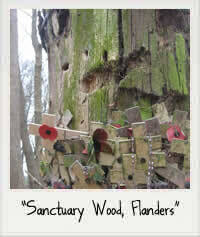 In Sanctuary Wood, you can still touch bullet holes in the blasted, ragged trees. Watch the river Somme make its peaceful wide sweep through rolling countryside further south and learn of the revolting carnage at Serre where the mowing down of a generation occurred in approximately ten minutes. The enormity of the numbers of the dead is beyond belief; the staggering amount who were simply “lost” and unaccounted for driven home by the single word on missing French soldiers' headstones: Inconnu. The monument at Thiepval will leave you gaping and speechless. All these placenames, notorious, stagnant and cold in our collective psyche, should be carved onto every school curriculum. As the sun goes down over the Western Front, the wind picks up and the grasses rustle but the earth remains silent. And, in the morning, people rebuild their lives. With nonchalant shrugs, farmers erect barns over mine chambers still packed with explosives, they use former dug-outs as wine cellars, they plough up the white bones of century-old youth while birds continue to sing from the hedgerows. Life goes on here because that is what they ceased living for. And they remain in the cemeteries, legions of them, lying perfectly still, perfectly regimented, under pristine headstones. All seems peaceful on the Western Front. All quiet... apart from, of course, the bird song.